Lady Antebellum's Charles Kelley and wife Cassie enjoyed a luxurious vacation in Italy before the 'Summer Plays On Tour' kicks off in July. 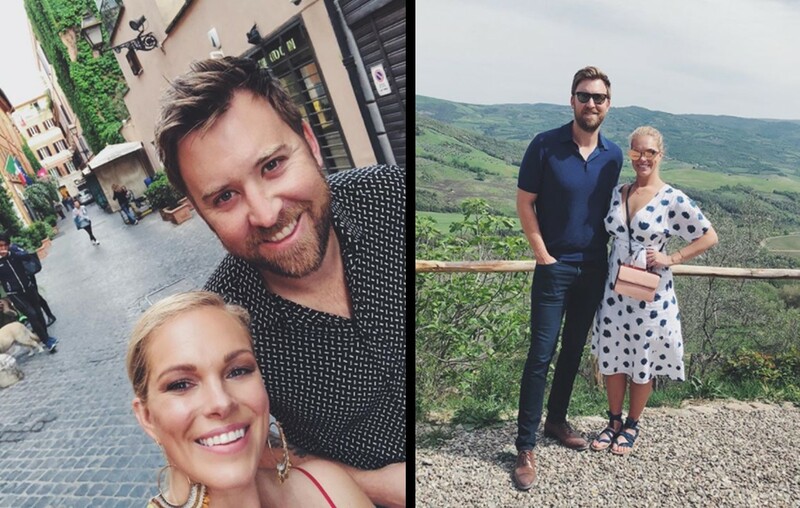 Lady Antebellum‘s Charles Kelley and his wife Cassie McConnell Kelley recently dashed off to Italy for a relaxing spring vacation. We are living vicariously through the happy couple, all thanks to thew couple’s Instagram updates about their adventures. The couple has been sightseeing, dining on local cuisine and enjoying all that Italy has to offer. They’ve traveled everywhere from Bologna to Venice and even little towns in between. Although Kelley travels a lot with the band, it’s not often that he and his wife get to escape from the chaos of America for a romantic getaway. Kelley even made a quick nod to his past solo single, “Leaving Nashville,” in his witty Instagram caption.“’Romantico’ @cassiemkelley. Maybe I am leaving Nashville after all…for Italy,” Kelley joked. Romantico, indeed! Be sure to share this breathtaking update with other Lady A fans!